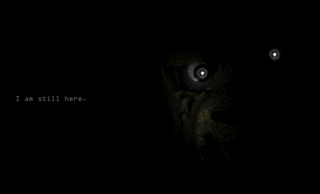 Even though Five Nights at Freddy's 2 was released in November, we have a teaser for Five Nights at Freddy's 3. The developer, Scott Games, just posted a super creepy image, suggesting the mechanical creatures are lurking. I'm ready for another jump scare, despite these games tarnishing my memories of Chuck E. Cheese.